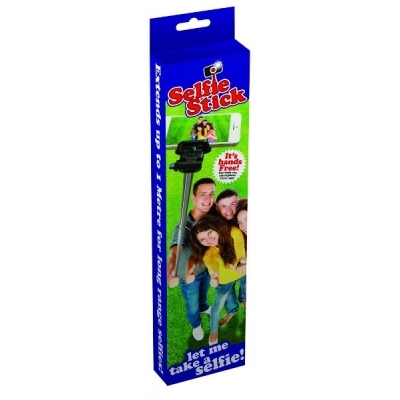 Take the best "selfies" in the world with the Selfie Stick! Using the telescopic function on the Selfie Stick you can take selfies at close, medium and even long range effortlessly. The Selfie Stick extends from 30cm to a whopping 108cm, so no Selfie is out of range. There is a secure phone clamp to hold most phones tightly and securely, whilst the clamp can also be unscrewed and removed to reveal a camera bush to attach almost any camera.